Law enforcement officers participated in a school safety forum Monday at North Kansas City's Oak Park High School. Eleven months before a gunman opened fire in a Florida high school, students had to evacuate North Kansas City’s Oak Park High School. They were told to leave their backpacks in their classrooms, walk outside in a single-file line and keep their hands on their heads. Oak Park Principal Chris Sartain explained that during school lockdowns, administrators take their cues from law enforcement officers, who wanted to be able to see the kids’ hands as they exited the building. That way they could be sure no one was armed. Hieu Bui was a junior last year when someone called in the anonymous threat. At first, he says he didn’t take the lockdown seriously – he actually put his head down on his desk and tried to go to sleep. Then someone in his class checked Twitter. The lockdown was all over social media. The threat, it turned out, wasn’t real – it had originated out of state. But administrators and law enforcement had to treat it like it was. 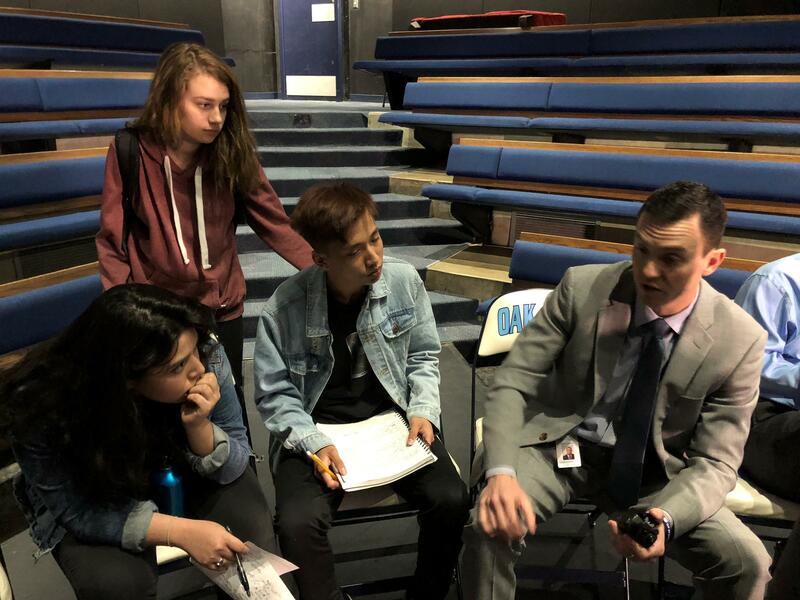 That’s one of the reasons why Sartain and other administrators agreed to take questions at a school security forum students organized in the wake of the Parkland, Florida, shooting. The television footage of teenagers fleeing Marjory Stoneman Douglas High School with their hands on their heads hit a little too close to home for Oak Park students. 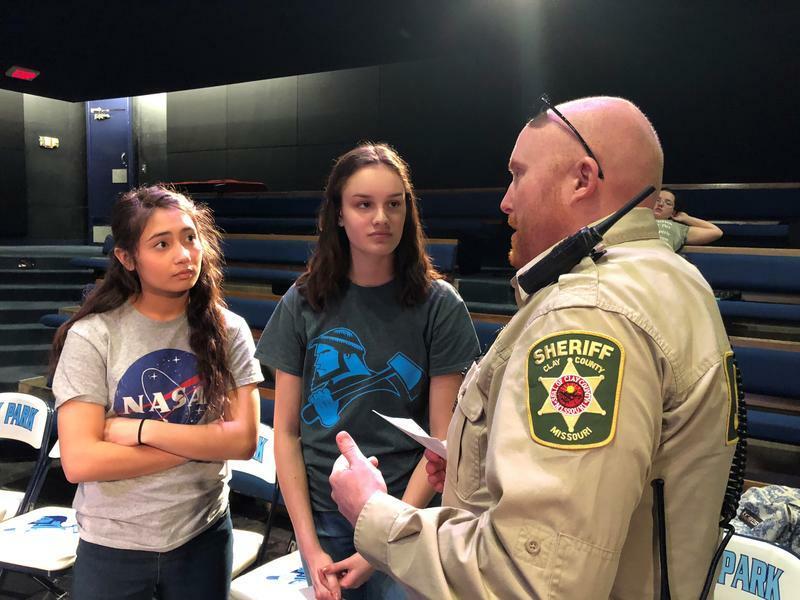 Oak Park students continued to ask Principal Chris Sartain questions after a school safety forum at their school. Bui says while he feels safe at Oak Park, he hasn’t forgotten what it was like to file past armed officers to evacuate the school. He says he’d prefer it if his school didn’t arm teachers, as President Trump has proposed. Sophomore Malea Biswell was invited to take part in the forum after interviewing Sartain for the school paper. 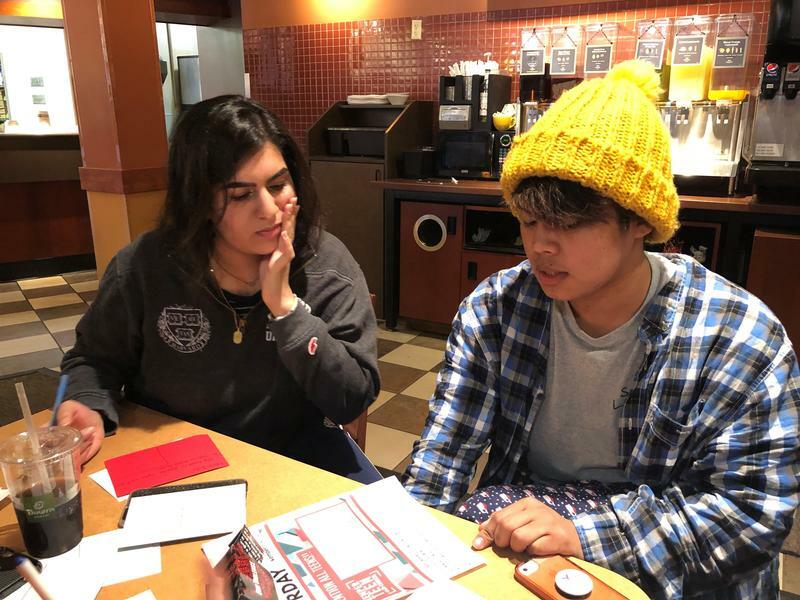 She’d asked him how he planned to punish students who walked out of class on March 14 and April 20 in solidarity with survivors of Parkland and other school shootings. Sartain told Biswell he didn't plan to punish anyone. In fact, he planned to come outside to hear students' concerns. But while Biswell was glad to hear administrators say they care deeply about the emotional well-being of students, she’s not sure if their interventions always work. Biswell recognizes not all of her classmates care as much as she does about the Parkland survivors' burgeoning activism. But she still expects hundreds of Oak Park students to walk out on Wednesday. Updated 2:40 p.m. Monday: Oak Park students are being reunited with the parents after an anonymous threat prompted the lockdown and evacuation of the high school. Between 1,300 and 1,400 students were in the building Monday, according to Jon Bazzano with the Clay County Sheriff's Office. They were bussed to Staley High School, where their parents could pick them up. The young survivors of a Florida school shooting last month don’t want thoughts and prayers. They’ve organized protests, staged walkouts and demanded policymakers do more to protect them. On Twitter, they’ve called out politicians who oppose restrictions on the assault-style rifle a gunman used to kill 17 of their classmates and teachers. And their activism has resonated with teens across the country.